The superhero genre is now reaching new heights with the evolution of more and more shared universes, to some people's joy and others' exhaustion. However, interestingly, there is yet to be any real prominence of female leads in perhaps the entire history of the genre and not just it's recent dominance over modern cinema. Dated superhero flicks focusing on female heroes such as Catwoman and Elektra launched to critical and commercial failure and are barely remembered by anyone today - and if remembered, it's not for the right reasons. 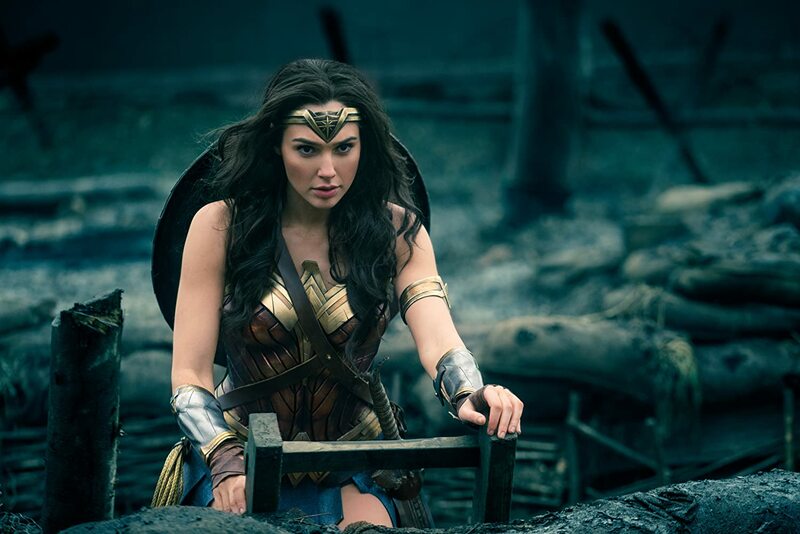 But alas, this could be set to change in due course with the release of this year's Wonder Woman, the first female superhero flick in over a decade and one that's already become the highest grossing just days after launch. 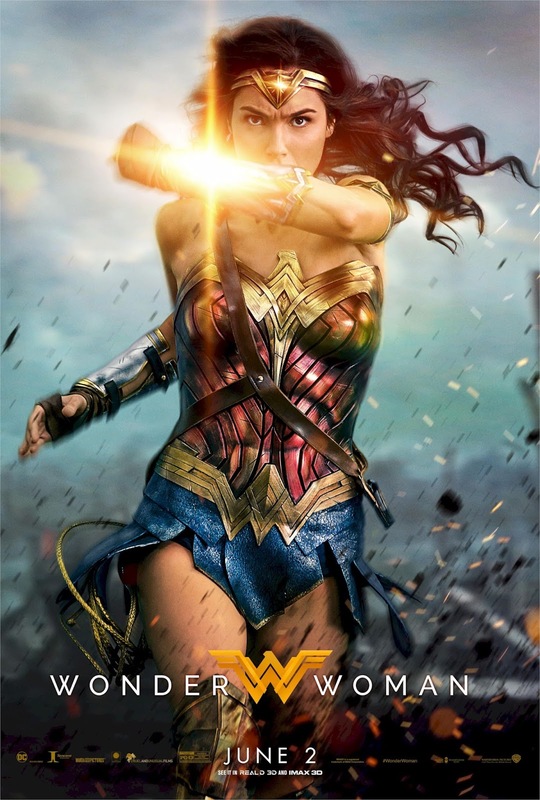 Within this latest blockbuster, we of course focus on the eponymous heroine played by Gal Gadot, whose path alongside her Amazon race intertwines with that of American soldier Steve Trevor (Chris Pine), ultimately beginning a quest to hunt down the malicious Ares, god of War, whom Diana herself believes is the key influence of humanities ongoing struggle within a war of their own. I have to admit I thought a film about this hero would be hard to take seriously without some major adjustments - I won't pretend to be a huge knowledgeable fan on the source material, but the costume alone initially seems to be a revealing, corny, and somewhat outdated design that may simply objectify the character. Thankfully, this is never the case - a charming performance by Gal Gadot as Diana/Wonder Woman shows the protagonist as a strong and mature one, but also never short of a witty appeal when the time is right. Her characters' obsession with thinking Ares is involved in almost every human incident is somewhat overused, and can be even more awkward in what are meant to be more dramatic moments, but there is still more depth to things than it may initially seem. The same can be said for Chris Pine in the role of Steve; thankfully he's never present because the creators felt a female lead couldn't handle things alone, making her a strong and independent hero capable of overcoming baddies by herself in some thrilling set pieces. Pine's character feels naturally weaved into the story, shares a great chemistry with our protagonist, and is made even more likeable thanks to his effortless shifts between comedic and charming to daring and bold - never do said changes feel unnatural, much as with Wonder Woman herself. The rest of the supporting cast perform just as well, and as you'd expect from a tent-pole summer flick, the special effects are as grand as ever. Perhaps the slow motion is a little overused at times, but the fight scenes still add up to stylish and thrilling entertainment; combining all this certainly makes Wonder Woman arguably the best of the DC universe to date and hopefully the turning point where Warner Bros. starts taking the quality of future movies a little more seriously.